“Ballad King” Kim Hyung-soo, better known by his stage name K.Will, has returned to the spotlight, except this time, he is not showing much of the charming baby face that fans adore – the K-pop idol has transformed into a hideously deformed hunchback for his musical debut. 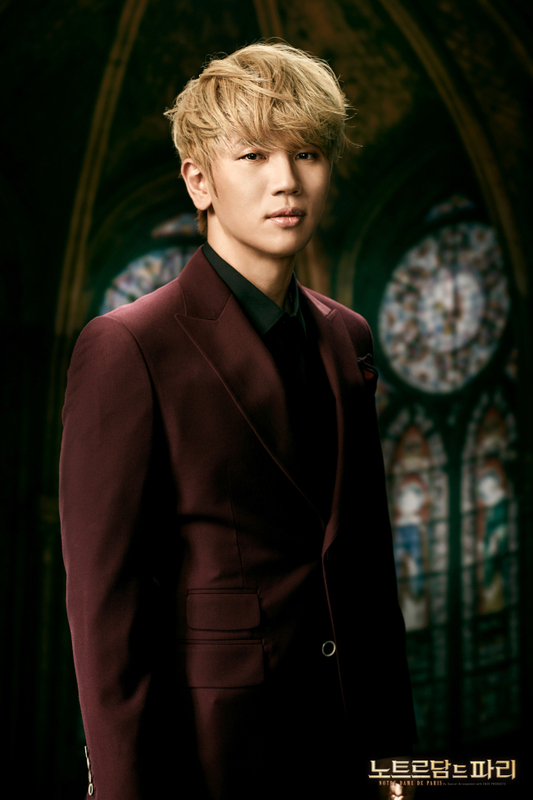 In tackling the challenging role of Quasimodo in the Korean rendition of the beloved French musical, “Notre Dame de Paris,” K.Will is looking to be yet another K-pop idol-turned-musical actor trying to prove he has got the vocal and acting chops to make a name for himself in the country’s bustling musical theater scene. Not to be confused with the Disney remake, “Notre Dame de Paris” the musical is based on the novel by Victor Hugo, with music by Riccardo Cocciante. Set in 1482 Paris, this tale of love and heartache is not another cliched love triangle tale, rather, it delves deeps into the complex internal struggles of three men and their undying love for one woman. The musical’s storyline follows the life of a young and irresistibly beautiful gypsy girl named Esmeralda. Her alluring beauty captures the hearts of countless men, including the hunchback Quasimodo, who fellow townsmen call the ugliest man in Paris. The free-spirted Esmeralda even incites forbidden lustful feelings in Frollo, the priest of Notre-Dame Cathedral as well as the dastardly and soon-to-be-married Phoebus. K.Will, well-known for his powerful vocals and romantic lyrics that make ladies gush, was certainly commendable in his musical stage debut, taking on the role of a undesirable man singing his heart out for the woman he loves, to no avail. Although the hurt in his soul was acted out beautifully by the singer, the ballad king fell short in musical standards when it came to singing. While the singer-songwriter looked the part of the “ugliest man in Paris,” with his protruding hump and ghastly makeup, K.Will’s performance on Sunday -- his second appearance -- lacked the coarse huskiness and rasp needed in Quasimodo’s voice to truly translate the pain of his undesirability and intense longing for Esmeralda’s affection. 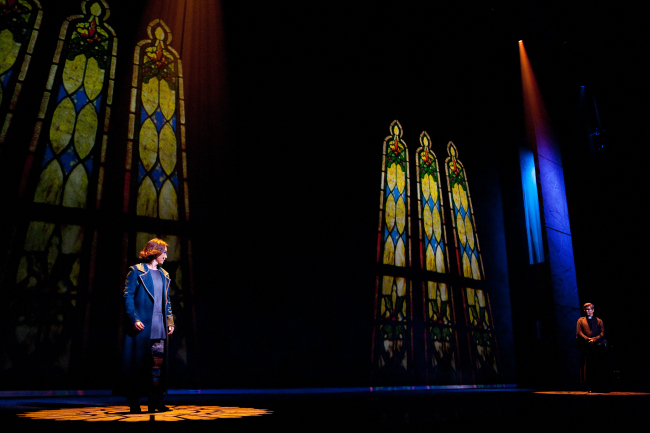 Late last year, “Notre Dame de Paris” celebrated the 10th anniversary of its Korea premiere with performances by the French cast. Although the overall performance of the local rendition was pleasant and enjoyable -- with the acrobatics of this action-packed production even surpassing that of the original French cast’s production -- the current Korean version falls far short in inarguably one of the crucial aspects of any good musical – the singing. Last year’s French production featured performances by cast members Matt Laurent as a haunting and brokenhearted Quasimodo; Robert Marien as Frollo the priest; Stephanie Bedard as Esmeralda; and John Eyzen as the cheating Phoebus. With their emotionally bewitching singing chops an incomparable level, the French actors put to shame K-pop idols looking to penetrate the musical scene. To say the singing performances of the French cast members were awe-inspiring would be an understatement, and that still holds true today. The Korean rendition of “Notre Dame de Paris” is currently being staged at the Blue Square in Hannam-dong until Aug. 21. Ticket prices range from 60,000 won ($52) to 140,000 won. For more information, call (02) 541-6236.